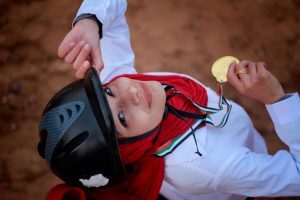 As part of its ongoing support to the youth in the Gaza Strip, El-Wedad Society for Community Rehabilitation, in partnership with Al-Fares Sports Club, organized a coronation ceremony for the female athletes. 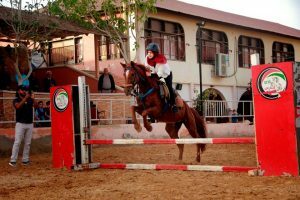 This was within the activities of “Girls’ Rights to Exercise” initiative in the project of Providing a Safe Environment for Youth in The Gaza Strip, funded by UNDEF. 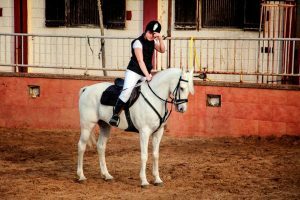 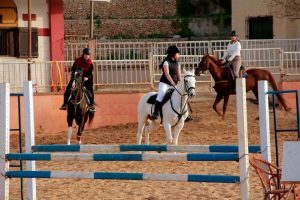 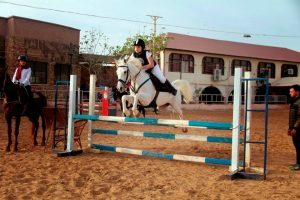 The activity targeted a group of girls to encourage them to practice horse-riding. 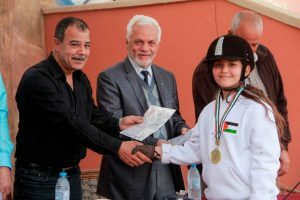 In the same context, El-Wedad Society signed a memorandum of understanding with Al-Fares Sports Club to carry out annual activities that help in encouraging Palestinian youth to exercise. 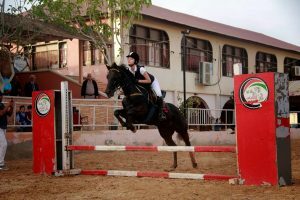 At the end of the meeting, the society administration, represented by the Executive Director, Mr. Kamal Abu Amar, honored and crowned the female athletes who participated in the sports activity. 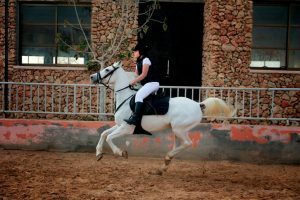 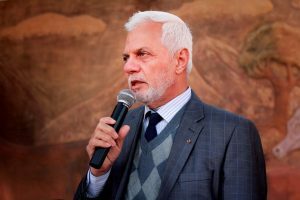 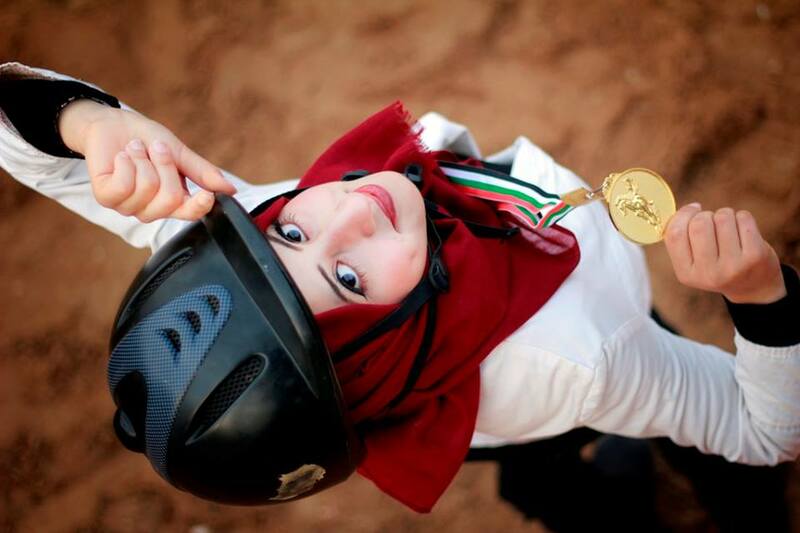 In his turn, he encouraged youth, especially girls, to ride asserting the association’s role in supporting youth, this vital category in the Palestinian society, in all the fields that serve them. 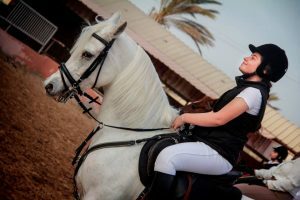 It is worth mentioning that El Wedad Society for Community Rehabilitation and through the Youth Club implements several initiatives for the advancement of the Palestinian youth in the Gaza Strip and the empowerment of their leading roles in society. 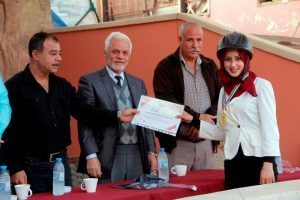 http://elwedad.org/wp-content/uploads/2018/04/29790518_1746470345409060_8077721938837912841_n.jpg 639 960 manager http://elwedad.org/wp-content/uploads/2018/02/8754-300x74.png manager2018-04-10 00:04:342018-08-09 13:54:01In partnership with Al-Fares Club, El- Wedad Society culminates the female athletes participating in the initiative entitled "Girls' Rights to Exercise"